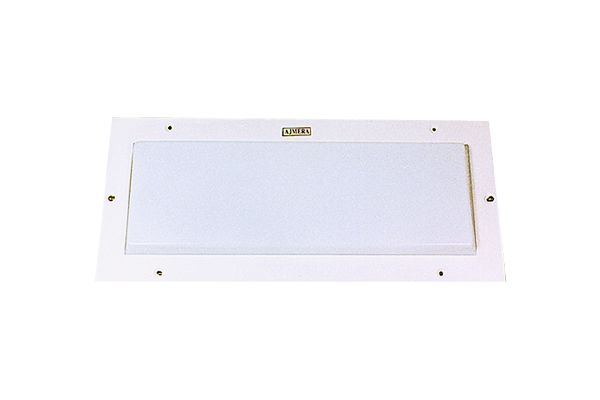 9220/F Vibration resistance and drip proof engine room light fitting suitable for 2 x 20W. 230V. 50hz fluorescent tubes arranged side by side. 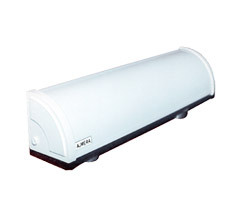 The fitting made from Fibre body & provided with clear one piece acrylic cover is firmly secured to the housing with stainless steel toggles and fitted with rubber gasket to make totally insect free. The fitting provided with 2 nos. 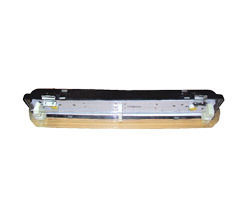 20W copper polyester filled ballasts, power factor improvement capacitor, starter, lamp holder, 2 nos. cable entries, Brass glands etc. Duly wired up to a suitable connector with provision for earthing. 2 nos. MS brackets provided with lining for vibration mounting. 9240/F Same as per 9220/F - suitable for 2 nos. of 40W tubes. 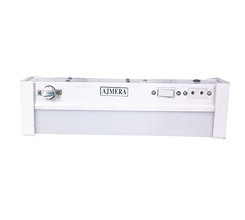 9240/MS --do-- MS powder coated body. 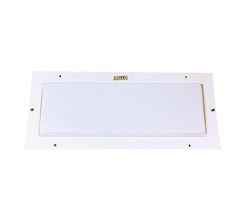 8220 Rectangular modular decorative fitting, recessed mounting type suitable for 230V. 50hz 2 x 20W. fluorescent tubes arranged side by side. The fitting consists of a housing made from heavy gauge CRCA MS sheet in duly powder coated, the fitting is provided with molded opal/clear acrylic diffuser with frame. The fitting with 2 nos. 20W. 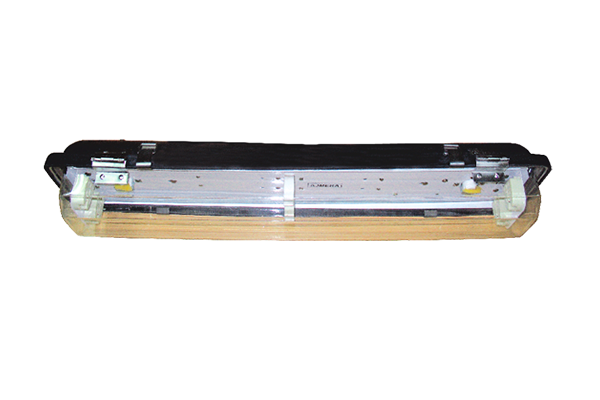 copper polyester filled heavy duty ballasts, power factor improvement capacitor, starter, spring loaded bi-pin rotary holders. 2 nos cable entries with rubber grommets etc., duly wired up to a suitable connector with provision for earthing. 8240 --do-- suitable for 2 nos. of 40W. Tubes. 7120 Cornic well decorative fitting suitable for 1 x 20W. 230V. 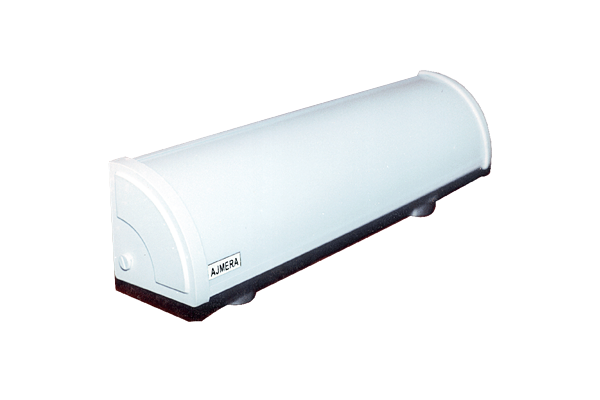 50 hz fluorescent tube, made from CRCA MS sheet, duly powder coated with opal/clear acrylic diffuser. Fitting provided with 2 nos cable entries, duly wired with 20W. polyester filled copper heavy duty choke, spring loaded bi-pin rotary holder, starter suitable condenser for PF. improvement. 7220 --do-- suitable for 2 nos. of 20W. tubes. 6120 Mirror light fitting suitable for 1 x 20W. tubes. MS body finished with powder coated duly wire with 1 number heavy duty copper choke, bi-pin rotary holder, starter with seat, condenser for power factor improvement, suitable for 230V. 1PH. AC with built in piano type switch & 2 pin socket. 6110 --do-- suitable for 10W/9W tube. Note : All the above fittings are also available with 110V. & 60Hz. as per requirement. 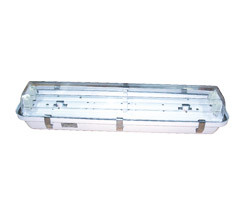 All fluorescent light fittings are also available with CFL/PL as per requirement. 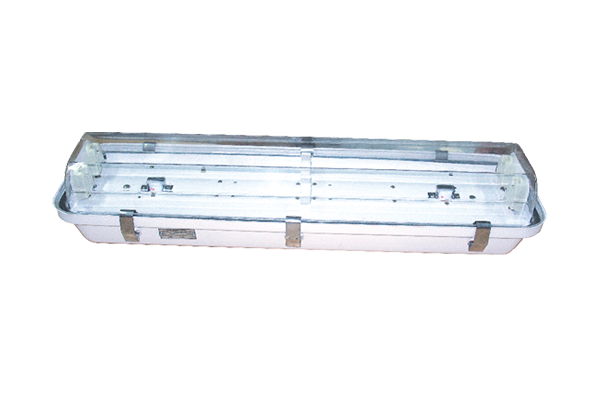 Vibration Proof Light fitting are also available with wiregaurd as per requirement.